Think, for a moment, about your passion. What do you love – I mean, really love? Running? Cooking? Sports? Do you remember the day that you fell in love with that hobby? In 1998 I was traveling through Machinga, Malawi, in Central Africa. My friend, Pastor Mnensa, and I were on our way to the Chikhale CCAP, and were crossing a little “bridge” about 20 kilometers from the nearest paved road. As we came near to the bridge, Ralph began to tell me about a wonderful little bird he had seen near that stream on an earlier trip. 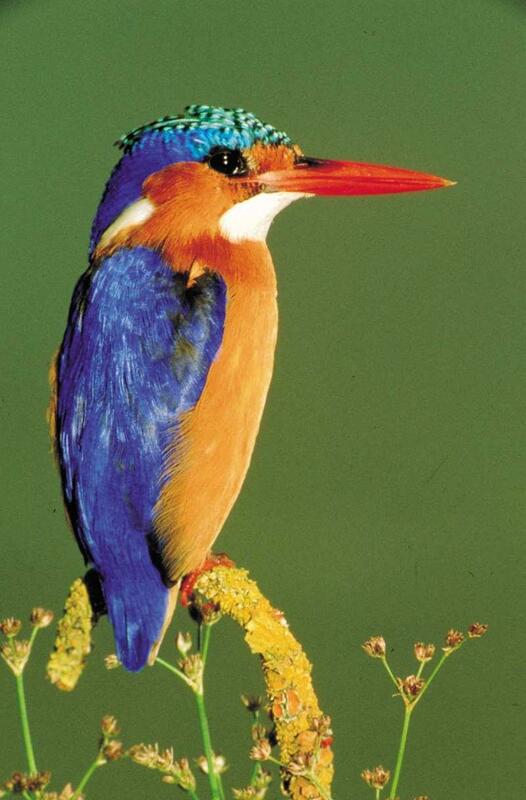 We stopped and waited for a moment, and I was delighted to see a Malachite Kingfisher – the most beautiful bird I think I’ve ever seen. Fortunately for me, and perhaps unfortunately for anyone who gets stuck in a conversation with me, I have since discovered that we have some amazing birds in the 412 and across our continent. However, at the time, I was thinking about all of the LBJ’s that flock to my feeder every day. An “LBJ” is a “little brown job” – one of those small, undistinguished creatures with dull plumage that seem to be everywhere. There are at least 35 species of sparrow in North America, and by and large, they are (at least from a distance) LBJ’s. 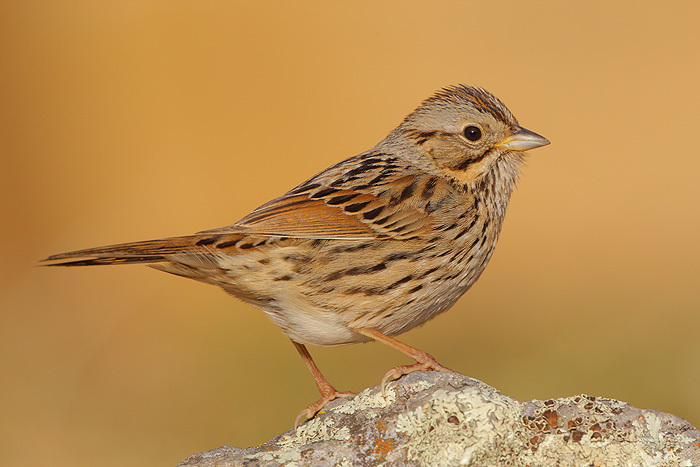 A Lincoln’s Sparrow. I know – this is sooooo much better than a House Sparrow, right? The House Sparrow is a much-despised bird, even among serious birders. There are articles that talk about how to create an environment in your backyard that discourages these LBJs from crowding out the feeder. There are about 150 million of these birds in the United States, and not many people like them. In fact, in the late 1800’s there was a movement called the “Great English Sparrow War”, wherein this bird was called a foreign invader who was lazy, immoral, and harmful to native songbirds as it stole their food and habitat. 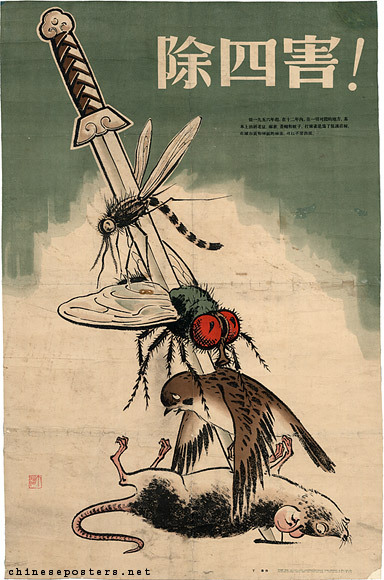 Publicity poster for Mao’s “Four Pests” campaign. Half a world away, a couple of generations later, Chairman Mao named the English Sparrow as one of the four pests that had to be eradicated from China for the country to succeed – again, calling it an immoral and lazy bird who stole food from the native inhabitants. For hundreds of years, people have spent a good bit of energy hating the sparrow. And yet Jesus says that God actually cares about the sparrows. Billions of sparrows in the world, living, breeding, dying, hatching…and God actually cares for them. God knows what is going on in their lives, if we can trust Jesus on this one. I am a hover-er. Ask any of the kids in the youth group, and I bet they will tell you, “I know that Pastor Dave loves me, but he sure asks a lot of questions. And he hugs me a lot.” At this moment, I am as drained and spent as I have ever been because of the ways that I have tried to love the kids from this community who have served on a Mission Team for the past week. I would walk across broken glass for them, but I am beat. But as noble as all that is, I am not that good at loving and caring, at least compared to God. My world is so full…and my head hurts and my heart aches and sometimes I just throw up my hands and sigh. And yet there is something in the divine nature that loves and treasures even the House Sparrow. These little creatures, which Matthew tells us are sold two for a penny, are noticed and valued by God. When Luke gets around to this part of the story, we see that he must be shopping at Walmart, because he finds them five for two pennies. They are as close to worthless as they can be. And God cares for them. What does this mean? It means that in the divine economy, there are no Little Brown Jobs. God refuses to look at some part of the creation and say, “Oh, that? Meh. It’s not my best work. I’ve done better.” God knows, values, and cares for everything in creation. By extension, therefore, it would seem as though I, made in the image of God, am called to a similar level of attentiveness and care. I am not free to disregard or despise that for which God cares. Which leads me to some thoughts about the current crisis on our nation’s southern border…or the educational system in our inner cities…or the famine in South Sudan…or the warfare in Israel and Palestine. Beloved, this is the truth: that kind of reasoning is more prevalent than we admit, and that kind of thinking will kill not only “them”, but “us” as it removes their humanity and tarnishes the image of God in us. Since October of last year, more than 63,000 children have been caught crossing the border alone. 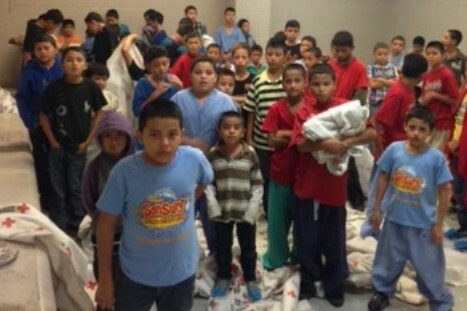 Many of these children have run right to the Border Patrol officers. These children tell stories about being sent on this harrowing journey by their parents who have said, “Look, this is the best choice we have right now. Sending my seven year old daughter, by herself, through Mexico and into the USA is the best way I can think of to protect her from sexual predation or murder.” These are parents who love their children as much as I love Ariel. Just stop and think about that for a moment. How bad must your range of options be if that is the best idea that presents itself? If you would like to explore this a little further, watch the movie Sin Nombre some time. It is harrowing and disturbing. But back to these 63,000 children. Look, I’m not sure what we are supposed to do with them as a matter of national policy. I don’t know enough about immigration law and the situations in their own countries to be able to pretend that I have a great idea as to how to “solve” this crisis. This is what I realized last week: I cannot think of a single one of my friends who, if they went down to get their morning paper and found a naked, cold, nine-year old who appeared to have been violated in some horrific way, would turn that child away. I know rich and poor people of all ethnicities. I know liberals and conservatives, crunchy-cons and libertarians, socialists and anarchists. But I cannot think of a single friend of mine who would look at a child like that and say, “Tough luck, kiddo. I think you’re on your own,” and then take the paper and go indoors. I don’t know any of my friends who would shoot a neighbor for being in the wrong place. We wouldn’t say that. But we employ institutions to say that for us. We are fundamentally good people who are kind and generous who find ourselves asking the government or someone else to be ruthless on our behalf. There is an inconsistency in that which threatens our ability to live faithfully. Jesus says that not one sparrow is forgotten by God. Not one escapes his notice. 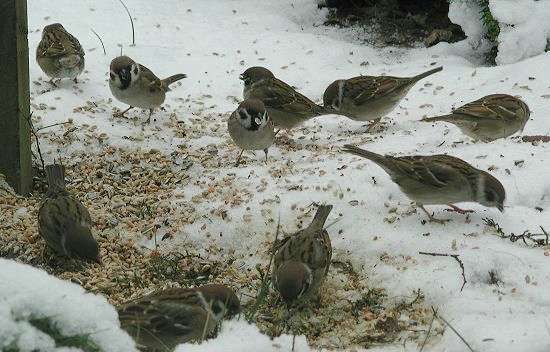 Can you love songbirds and still be compassionate to the house sparrow? Can you have an incisive critique without a hardening of the heart? Maybe it’s tricky, not completely easy, a little complex, but we of all species are especially equipped to handle a little complexity. Our hearts beat seventy times a minute; the house sparrow’s beats eight hundred. At rest, we breath about eighteen times a minute; a sparrow, ninety times. I like thinking of them breathing so fast – all this breathing out in the world, all this heartbeating. Love your neighbor. It’s the most brilliant instruction. It’s wise and wonderful and something we need. Complexity is difficult, but we can handle complexity. I have to admit, I don’t know how to make love the cornerstone of our social policy. I am not sure what the best way to care for these children is. But I do not want to live in a nation where indifference or vindictiveness is the rationale around which we set up our systems and institutions. I don’t know how to help those children or our Border Patrol or anyone affected by this. I don’t know. But I don’t want to not help. So I guess I’ve got some learning to do. Consider the sparrow. There are no LBJ’s in the Kingdom. Love – even when it wears you out. 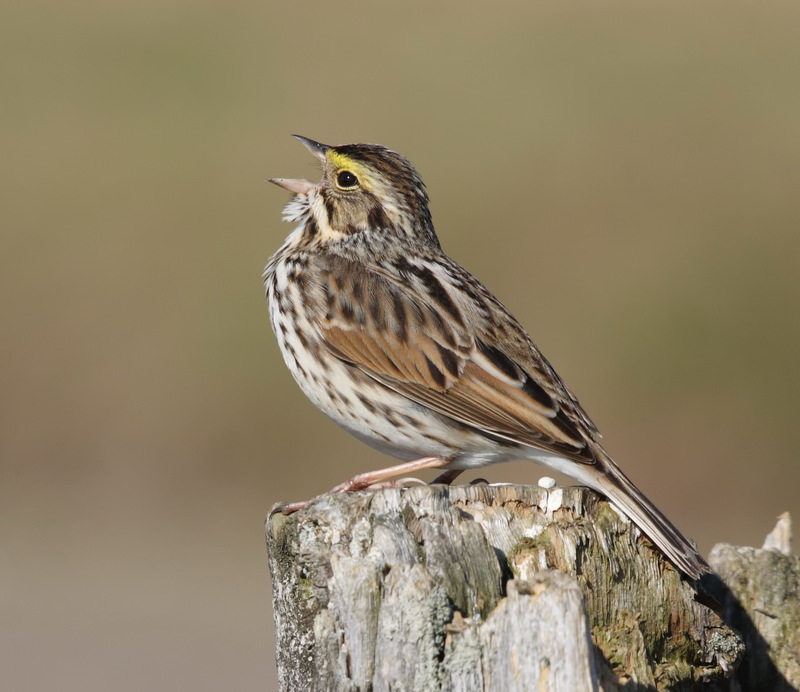 A Savannah Sparrow, whose song, heart, and breath matter to God. Consider the Birds (Abingdon 2013), pp. 147-148.